Although the Nürburgring belongs to bicycles during Rad am Ring, a few cars are still on the track there. For good reason: During the 24-hour races, at least five ŠKODA course vehicles are permanently on the track to provide assistance in the event of breakdowns or accidents. The vehicles are equipped with tools and an air pump. If a participant does not get his/her bike going again despite this assistance, he/she can be transported to the start and finish in the vehicle. Attention: If the transponder drives along, the lap is subtracted from the result. If the transponder is taken over by a team colleague called by telephone (only from the same team, not possible for individual drivers), the result won’t be altered. ŠKODA is always in the front in many cycling events’ starting fields, including the Tour de France. 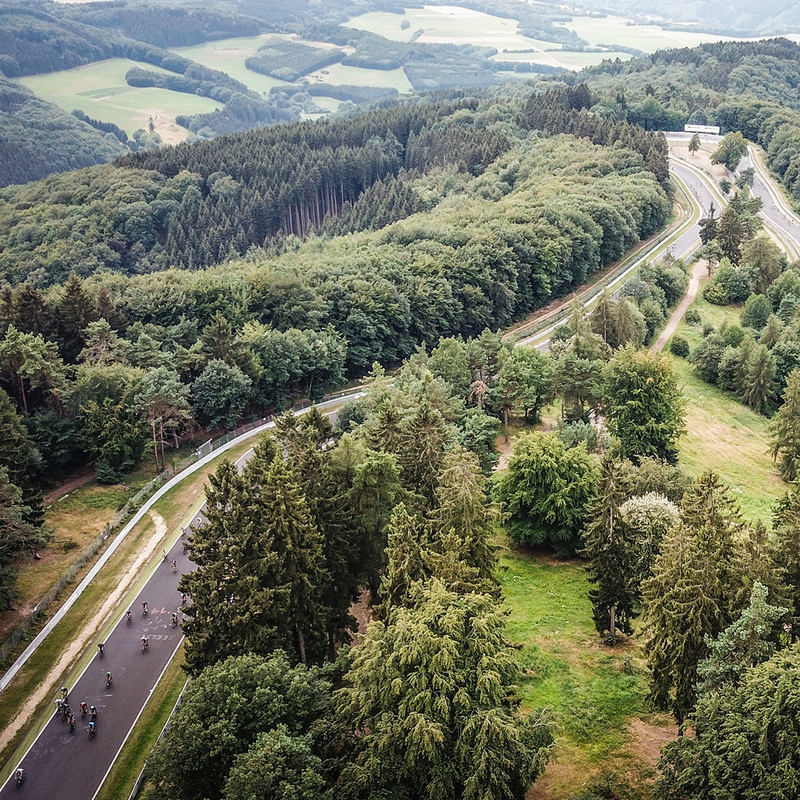 At Rad am Ring, not only the vehicles that lead the peloton are provided by the Czech manufacturer, but also the “endurance runners” in the 24-hour race, press car and VIP vehicle bear their emblem – a total of 14 service vehicles ensure smooth processes. Many thanks for that!